Always leave your audience wanting more... runs the old maxim, and this collection of 16 pieces of flash fiction does just that, in a good way. I'll admit, flash fiction isn't always for me. Sometimes, it feels like just dipping your toe in the pool when you want to dive in headlong. But Jason Nugent's collection hits the spot in its genre. By turns a little bit fantasy, a little bit horror, a little bit thoughtful reflection, a little bit science fiction, you get the sense of a bigger world beyond each of the stories here. 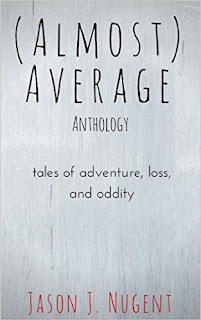 Some hit the mark more than others - as you'd expect with a collection of so many different stories - and tales such as the darkly, ruefully wry Vacation or the tantalising beginning of Aimee's Quest stand out in particular. Dreamwraith could be a Twilight Zone episode on its own, while The Long Sleep winds the collection up leaving you asking the question "What next?" Not all of the stories quite worked for me - and while the opening story might be poetic in nature enough to make me think of something like Ted Hughes' The Thought Fox, it's perhaps a little slight as a starter for the collection. The third story, Beneath The Clouds, was where I felt it started to make its mark. In the end, the anthology leaves me wanting more... so I'll be looking out for just that with future releases from the author! 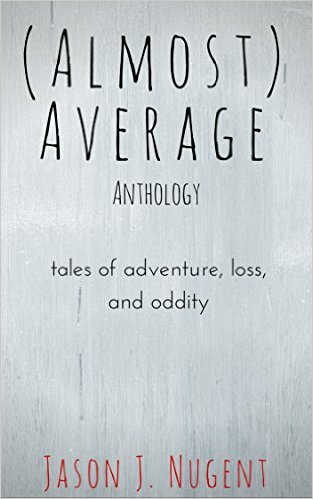 I did a Q&A with Jason Nugent at the time of his distinctly well above-average anthology's launch - you can read it here.